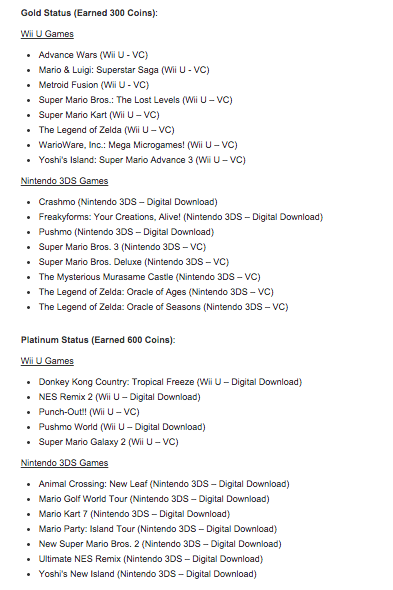 Nintendo has posted the latest Elite Status rewards, which will be the final “hurrah” from Club Nintendo. The list for Platinum rewards features titles like Donkey Kong Country: Tropical Freeze, NES Remix 2, and Animal Crossing: New Leaf. 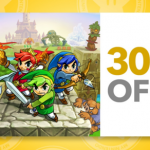 However, the Gold Status rewards have some Zelda titles up for grabs: The Legend of Zelda, Oracle of Ages, and Oracle of Seasons. Players have until May 1, 2015 to pick their free game and receive the download code for it. What free game will you be picking up?